Born on this day in the last century, Mr Roy is one of the most significant modernists in the world of Indian fine arts of the 20th century. He was also accorded with the honour of Padma Bhushan award in 1955. The National Gallery of Modern Art says Mr Roy "turned to the folk arts of Bengal". As brought out quite simplistically in the Google doodle, Jamini Roy exhibited use of bold, flat but dazzling colours unlike the natural colour palette used at that time. His style was restricted his palette to seven colours- Indian red, yellow ochre, cadmium green, vermillion, grey, blue and white. Even though he is known for his distinctive style, the artist is also identified as one of the most famous students of Abanindranath Tagore. Some of his notable works include Gopini, Three Pujarans, Standing woman, Bengali Woman among many others. Many of these can be viewed in the National Gallery of Modern Art in New Delhi. Prime Minister Narendra Modi inaugurated an exhibition to mark the 100 years of Mahatma Gandhi's Champaran Satyagrah. The exhibition, titled 'Swachhagraha - Bapu Ko Karyanjali - Ek Abhiyan, Ek Pradarshani', was held in the Delhi. Champaran Satyagraha was a historic mass movement which had a phenomenal impact and appealed to the countrymen to become 'Swachhagrahis' and create a Swachh Bharat. 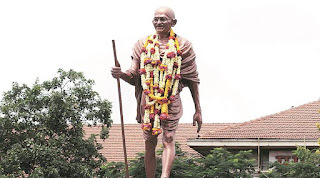 Swachh Bharat Abhiyan (Clean India Movement) was launched on October 2, 2014, with an aim to achieve clean India and aims to achieve an Open-Defecation Free (ODF) by October 2, 2019, the 150th birth anniversary of Mahatma Gandhi. 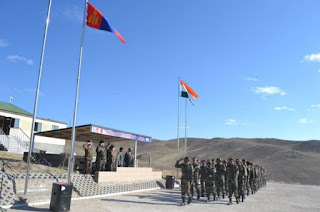 The Indian Army sent platoon-strength soldiers of the Kumaon Regiment to the 11th Indo-Mongolia exercise. The exercise will be inclusive of the specialised operations in counter insurgency and counter terrorism setting. The Indian Army contingent will also be accompanied by two observers. The joint military exercise "Nomadic Elephant -2016" is expected to end on May 8. Davis started her journey with UNHCR by travelling to Northern Uganda and the Democratic Republic of the Congo, meeting South Sudanese refugees and hearing their stories. Moved by refugee accounts, Davis wrote about her trip. Davis championed UNHCR’s work through media interviews and via her social media channels. She has also supported key UNHCR advocacy and fundraising events and campaigns - including traveling to Australia in 2016 to help raise funds for women victims of sexual violence in DR Congo. The Office of the United Nations High Commissioner for Refugees (UNHCR), also known as the UN Refugee Agency, is a United Nations programme mandated to protect and support refugees at the request of a government or the UN itself and assists in their voluntary repatriation, local integration or resettlement to a third country. Its headquarters are in Geneva, Switzerland, and it is a member of the United Nations Development Group. Tej Bahadur Singh has decided 6,065 cases in 327 days despite the lawyers strike in the district. The Guinness Book of World Records has confirmed about Singh’s entry in its list of world record holders. 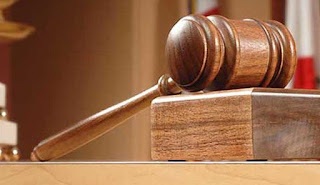 The judge said that his move was aimed to reduce the number of pending cases in the court and provide justice to the litigants. 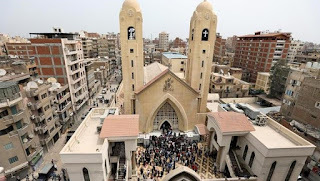 Mr. Sisi announced the state of emergency nationwide for three months following the blasts that targeted the minority Coptic Christians on Palm Sunday, one of the holiest days of the Christian calendar. 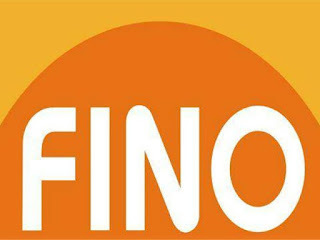 The bank will also offer a bouquet of products related with mobile recharge and bill payments which are currently offered though Fino Money Mart. The bank is still devising the strategy on the sale of mutual products via its branches. Sandhane has taken over from S.K. Banerji, who retired from the services of the bank on March 31, 2017. 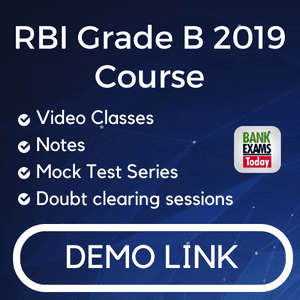 Banerji is now an Advisor to the bank's board. 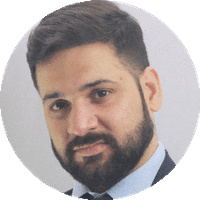 The new MD has worked across various operational spheres at branches, departments and zones. She has served as Head - Wholesale Banking Department and Head – Planning, Accounts and Stressed Assets. 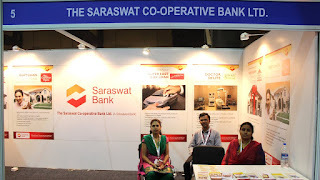 She successfully executed the merger and consolidation plans of three other co-operative banks into Saraswat Co-operative Bank Ltd., laying the operational road-map for their smooth transition into the bank’s mainstream business and was also instrumental in substantial recoveries in the NPA accounts of these banks. 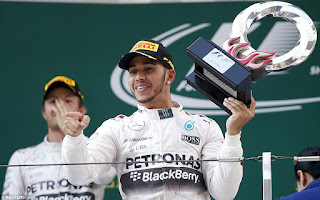 Mercedes driver Lewis Hamilton dominated the Chinese Grand Prix to take his first win of the year and move into a share of the championship lead. Hamilton's victory, in a race enlivened by a wet start and some terrific wheel-to-wheel battles, ties him with first-race winner Ferrari's Sebastian Vettel. Vettel was second, hardening impressions that 2017 will be a fight between the two multiple champions. Red Bull's Max Verstappen moved up from 16th on the grid to finish third.